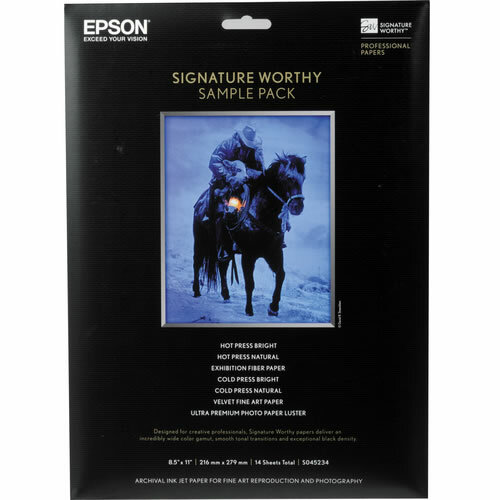 The Epson Signature Worthy Sample Pack contains 7 samples (2 sheets each) of various Epson high-quality papers. This paper has an extremely-high color gamut and black density. This cylinder mold-made product is optimized for Epson UltraChrome, and Archival Ink. This fine art paper is not only acid, lignin, and chlorine free, it is also pH buffered with calcium carbonate for a true archival sheet. This is an acid free, 100% cotton rag media with a bright textured finish. This paper has an extremely-high color gamut and black density. This cylinder mold-made product is optimized for Epson UltraChrome, and Archival Ink. This fine art paper is not only acid, lignin, and chlorine free, it is also pH buffered with calcium carbonate for a true archival sheet. This is a 100% Cotton Rag paper designed for photographic quality inkjet printing. This paper reproduces images with vivid color and high black density for exciting and rich prints. Its velvet surface produces prints with a museum quality appearance and easily supports the highest resolution output from the best inkjet printers. This paper is designed specifically for use with Epson's UltraChrome K3 ink and was developed in collaboration with many of the industry's leading professional photographers to ensure it meets their most discerning requirements. This unique media offers the same deep blacks, subtle tonal gradations and long-lasting results as the darkroom papers of old. Its fiber base has a rich surface, a continuous tone and soft gloss that are ideal for creating stunning color or neutral black-and-white prints that retain the look and feel of traditional fiber paper. This paper is designed to produce crisp, easy-to-read text and brilliant, smudge & water-resistant images. 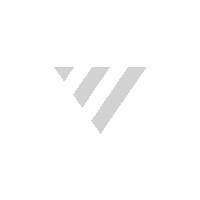 It can be used for anything from overhead transparencies to making screen & contact prints for film usage. This "Ultra" version differs from standard "Pro Premium" transparency sheets in its excellent compatibility with Epson UltraChrome Photo Black K3 ink, high UV density, and higher capacity for ink absorption.